A Real Estate Data API with hyper-local market data can be a lifesaver when it comes to a buyer who gets the jitters and is about to change their mind. If you’ve been in the real estate business for more than a minute, you’ve probably experienced this situation. Everything is going great, the buyer loves the house, the seller is motivated, and an offer is ready to be made. But suddenly, the buyer starts to stall when it comes to providing financial information. 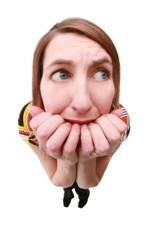 Calls and voicemails go unreturned, and you start to wonder if your client has gotten cold feet and the deal is off. What can you do, as a real estate agent, to help your client stick with a plan or be more decisive? So what are some of the reasons you might stop hearing from a buyer you thought was committed? The main one is financial issues. All too often, shoppers overestimate their available funding, credit score, and potential loan amounts while making decisions. They get swept along in the process, and when it comes down to hard numbers, the shock and realization set in. Staring at the total payout for a 30-year mortgage can do that to a person. In cases like these, the buyer may be embarrassed or afraid to admit to an agent what their real situation is since they have already spent time and effort on them. If you start to sense that there is insufficient transparency coming from your seller, it could be a sign that the deal isn’t happening. This could happen regarding any number of issues – from home inspections to leaving their neighbors. You may also start to notice that they are unenthusiastic about selling, and don’t seem at all happy or excited. They may drag their feet on cleaning, packing, staging, paperwork, and other things. In this case, there could be an emotional component to their cold feet: a sadness or reluctance to leave their home. In the case of a financial issue, you can ward off inaction by encouraging buyers to be proactive about their finances before making any serious housing decisions. Of course, they should get pre-approved for a home loan to find out how much they will have to work with. They should also meet with an adviser to talk about costs of home ownership, property taxes, and down payments, as there are many more costs involved in buying a house besides just the listing price. As your clients look to you as the expert, you can gently and kindly steer them toward having these things taken into consideration before matching them with the perfect listing. When working with sellers, your job is to be a good and unbiased listener if they need to process the fact that they will be moving out of their house. You can provide both a listening ear and accountability at the same time – not to mention help them see all the positives of selling and help them get excited about where they’re going next! Aside from emotional support, use hard data and facts to keep your clients on their path. With a Real Estate Data API from national data aggregators such as Home Junction, an agent has the tools to point out the financial advantages of buying and selling. Perhaps homes sales in their neighborhood are in a high upward swing. Or, show them home sales in neighborhoods next door and how those homeowners are taking advantage of a hot market. Same goes for pricing activity. Show buyers and sellers the data on your website pointing to increases in home prices. Buyers need to move fast. Owners can cash out at a peak time in the market. With a home value estimator tool from Home Junction, the buyer or seller can see where a property is positioned in a market based on Sales Price, Square Footage, Age and Price Per Square Foot. Maybe a buyers is hesitant. Show them how this property is actually priced in the lower 10% for price per square foot and in the upper 30% for square footage. Hmmm, that house looks much more attractive now, doesn’t it? Local real estate data mapping tools integrated with an MLS can show them other real reasons why they need to make a decision and stick to it: highly rated schools near the property; shopping, transportation, and golfing nearby. Maybe a train station down the street. Some clients won’t settle for “just talking” and have to be shown the numbers in order to be impressed! If a deal falls through, an agent may be tempted to wonder if they did something wrong. The recent NAR Confidence Survey Index from August shows 76% of contracts settled on time. The reasons for delays mostly centered on financing (36%), appraisal issues (18%) and home inspections (17%). Others may have an issue with committing to that mortgage, insurance and property taxes when they had a nice simple monthly rental payment before. However, instead of building up wealth for their landlord, with your Real Estate Data API you can assure them that investing in a home is a solid financial decision to build their own wealth. 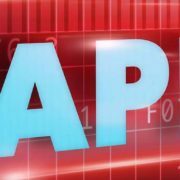 Because here are two other very important points that an agent can illustrate with a Real Estate Data API. Interest rates are a big concern. But those rates have been at historic lows. Waiting for rates to drop might not be a good idea because they could continue to go up. Show current homes prices and what the monthly payments will be for those prices. Which brings us to the second issue reported by the NAR – low inventory. Show the real estate market data for the neighborhoods you are farming. Perhaps homes sales are dropping because homes for sale are scarce. Another reason for a reluctant buyer to make a move. 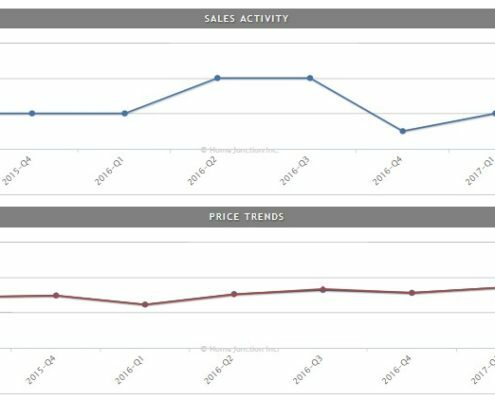 Adding this real estate market data and charts to a website alongside home listings, also lets consumers do their own research and convince themselves buying or selling is a smart decision. Stay proactive by advising buyers to get their finances in order early, and use a local Real Estate Data API to show the financial benefits to help your clients from letting their emotions give them cold feet.